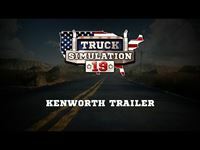 New simulation game to include trucks by famous US brand Kenworth®! Moenchengladbach/Germany, October 11, 2018 – The development of the mobile truck simulation game Truck Simulation 19, which was formerly known under the working title Truck Simulator America, is running full steam ahead. In order to shorten the wait until the game’s release in the 4th quarter of 2018 in the Apple® App Store® for iPhone® and iPad® and on Google Play® for smartphones and tablets using the Android™ operating system publisher astragon Entertainment and the developer team of Jujubee would like to seize the opportunity and give future players of Truck Simulation 19 a deeper insight into the playable trucks by Kenworth® today. 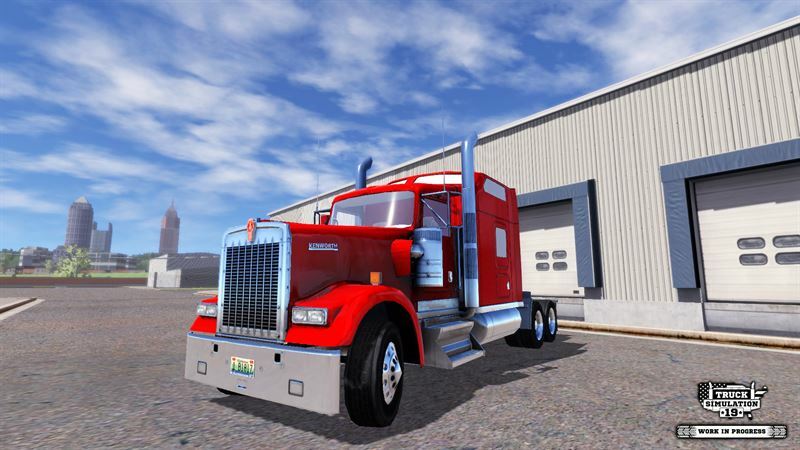 The famous US brand Kenworth® will be represented within the game by three, true to original truck models: the Kenworth®T680, the T880 and the W900. These trucks come with a great level of visual details which will most certainly make the heart of every virtual trucker beat a little faster. No matter what kind of freight needs to be delivered, the Kenworth®T680, the T880 and the W900 will not only reliably help players to complete every job on time but they are also true all-rounders, as in Truck Simulation 19 all in-game truck models can be purchased with three different driver cabs. For short trips the simple day cab is certainly the right choice to make. If the destination is further away the mid roof sleeper will prove to be the most suitable option. And in case of several day long journey the huge high roof sleeper will offer the best comfort to the driver. With their very own Kenworth® truck, fans of heavy trucks can now show their peers who is the real king of the highway! Truck Simulation 19 will be released in the 4th quarter of 2018 for iPhone® and iPad® in the Apple® App Store® as well as smartphones and tablets using the Android™ operating system on Google Play®.